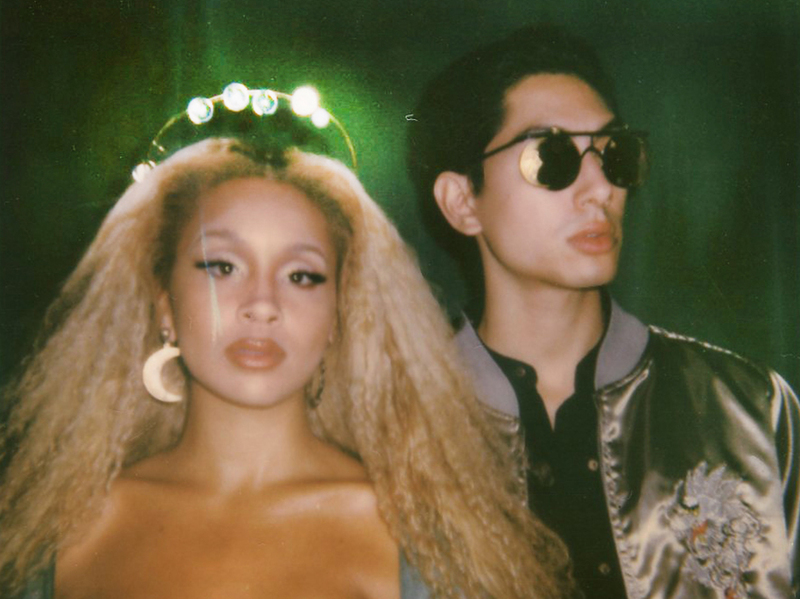 Lion Babe is a dynamic NYC duo consisting of Jillian Hervey and Lucas Goodman. Featuring elements of disco, soul, R&B and funk, Cosmic Wind is the duo’s latest release. The pair are not only musical partners but real-life partners as well. Known for creating soulful music in the style of Lauryn Hill and Erykah Badu, their music triumphs with a strong, retro-minded sound. Their single, “The Wave,” is set to be featured on the next campaign for the American Heart Association. The title track showcases vibrant shimmering synths and classic hip-hop beats. With fierce, soulful, R&B vocals, lead singer, Jillian Hervey, displays a stunning high-pitched falsetto that’s effortlessly smooth. A nod to old school R&B, this single has all the 90s throwback feels. Next on the album is the up-tempo, jazzy track, “Western World.” This rhythmically spirited song features a punchy electronic soundscape sampling Pet Shop Boys atop rich, sassy vocals. Featuring rapper, Raekwon, the song is bursting with funky flavor and fresh attitude, emphasizing its disco hip-hop flair. Another funky disco standout is “The Wave”. Oozing with a psychedelic electro sound and groovy base, “The Wave” is that retro party hit that knows how to get your body loose. With sultry, soulful vocals that truly pop, it’s a definite feel-good track to put you in the mood. Rounding off the album is the final track, “So Long.” Featuring just a simple keyboard melody and soothing snaps, this stunning song allows Hervey’s vocals to shine. With a Beyoncé-esque tone highlighting her exceptional range, she displays a raw natural ability that truly sets her talent apart. Take a listen to Cosmic Wind.